Condado is San Juan's hippest, trendiest enclave. This ritzy neighborhood is home to world-class boutiques, chic resort hotels, bars and clubs, and outstanding restaurants that range from refined local cuisine to inventive and elegant fusion fare. Acclaimed chefs have their flagship restaurants in Condado. 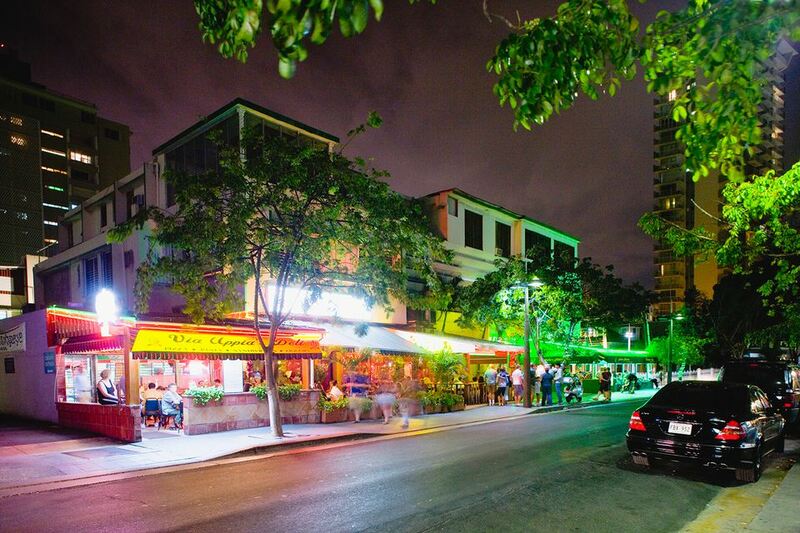 Check out these six restaurants that are worth a visit the next time you are in Condado. Set in the historic and opulent Vanderbilt Hotel, which lay dormant for many years before it was restored to its former glory, 1919 is eclectic and sophisticated. 1919 mixes the farm-to-table concept with Puerto Rican flavors, using local, artisanal products that feature flavor-forward fresh foods with a contemporary flair. The wild king salmon confit with an herb pistou is a popular favorite from the menu. Come for the brunch and return for the artisanal pizza, homemade pasta or fresh seafood. For brunch, Nutella french toast and huevos rancheros tempt the palate in an airy cafe with sleek wood tables and a boisterous crowd. Perla is perfect for a special occasion. Perla stuns the eye and pleases the palate. Housed in a dramatic setting that resembles a giant oyster, this fine-dining restaurant has a continental, elegant menu that features seafood as the dominant star. Perla is located in the famous and historical conch shell of La Concha Hotel. Acclaimed Italian architect Mario Salvadori designed the shell in 1958. The shell sits on an infinity pool elevated above the beach. Guests are treated to a breathtaking panoramic view of the ocean and beach. At Yerba Buena, the menu is Cuban to the core, with classics like ropa vieja (shredded marinated beef with peppers) and picadillo (seasoned ground beef). Yerba Buena masterfully shows how Cuban dishes are closely related to the Puerto Rican style of cooking. The two islands share commonalities like sofrito, which is a base of peppers, tomatoes, onions and garlic, and a love for seafood. If you are in the mood for steak, then an Argentinian steakhouse is probably what you are looking for. Buenos Ayres is a fusion of Argentinean cuisine and criollo food, which means the food has Puerto Rican roots. Buenos Ayres serves cuts of meat like bife de chorizo (sirloin) and bife de vacio (flank steak). If the parrilla (or grill) isn't your thing, try the pastas or the Argentinean empanadas. Save room for the dulce de leche crepes. One of Puerto Rico's well-known panaderías, or bakeries, Kasalta is not sophisticated dining or elegant setting. Instead, this bakery and gourmet shop is an ideal neighborhood spot for classic Puerto Rican food for breakfast or lunch.